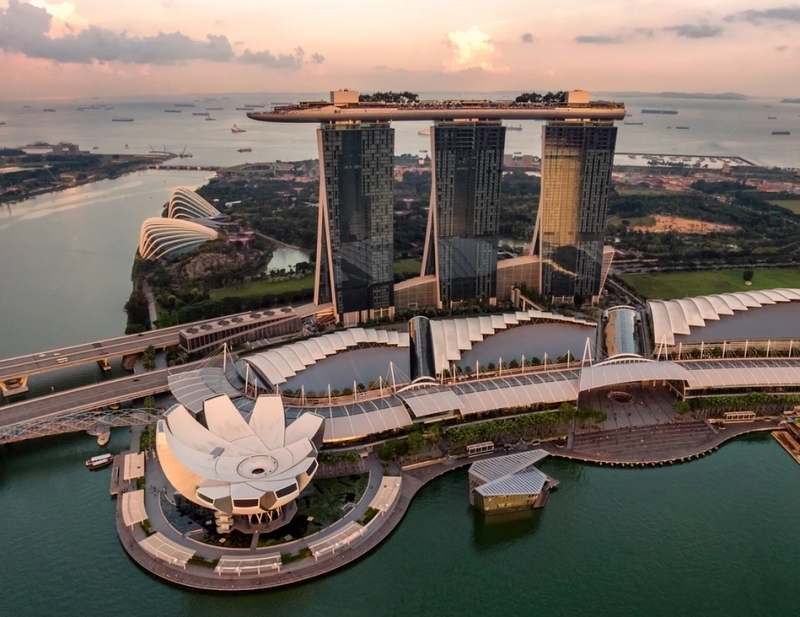 Here’s how you can conquer the Lion City in 3 days. Even though Singapore is a mere red dot on the world map – hence the moniker Little Red Dot – the country is truly one fine city. And we don’t just mean the fines for chewing gum! This garden city buzzes with energy and exudes the unparalleled vibrancy of a world-class destination. Despite its size, there is no shortage of things to see and do in this small country. However, if you are only here for the weekend, here’s how to experience the best of this Little Red Dot in 72 hours! 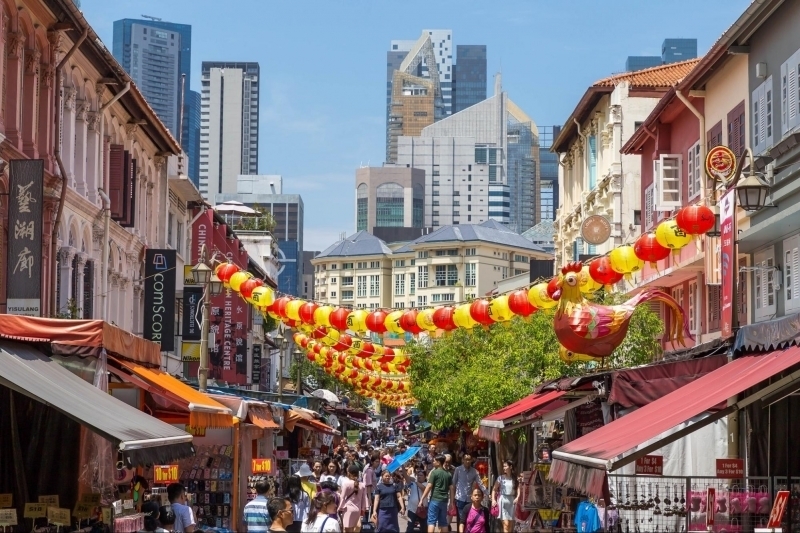 Kickstart your Singaporean adventure in Chinatown, where you can do everything from shopping and eating to just walking around and taking in the Singapore culture. 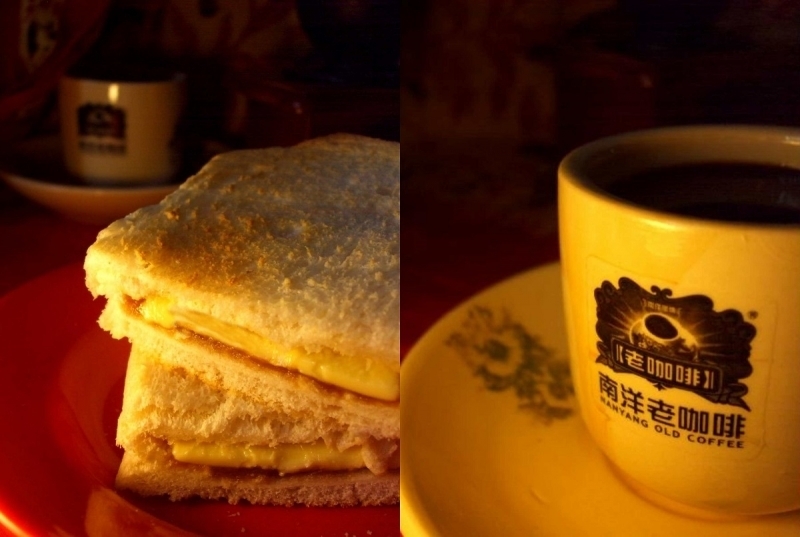 Start your morning at Nanyang Old Coffee, for a typical Singaporean breakfast of kopi, kaya toast and half-boiled eggs! After your bellies have been filled, head to Singapore’s oldest Hindu temple, Sri Mariamman, which is more than 100 years old. Its original wooden structure was built in 1827 to honor the goddess Mariamman — known as a “Curer of Diseases” — and was reconstructed in 1943. Just a 2-minute walk away is the Buddha Tooth Relic Temple and Museum, a majestic Buddhist Temple that was modelled after Tang Dynasty architecture and which purportedly houses the tooth relic of Buddha. Head to the fourth floor to view the relic, or simply marvel at the intricate interiors and learn more about Buddhist culture with one of the free guided tours available. When you’re done marvelling at these marvellous monuments, head to Chinatown Complex Food Centreor Maxwell Food Centre for lunch, both well-known hawker centres in the area. A definite must-try is Tian Tian Hainanese Chicken Rice at Maxwell, a personal favourite of the late Anthony Bourdain. Then, cool off with some traditional Chinese desserts and shaved ice at Mei Heong Yuen Desserts! Before they get torn down, marvel at stunning architecture from Singapore’s early independence years at People’s Park Complex and Pearl Bank Apartments. Remember to document your trip to these iconic landmarks with a photo op! Tip: The most affordable souvenirs can also found in Chinatown so remember to pick some out for your friends and family back home! How to Get There: Nearest train station is Chinatown MRT. Much like Chinatown, Little India is best appreciated on foot. 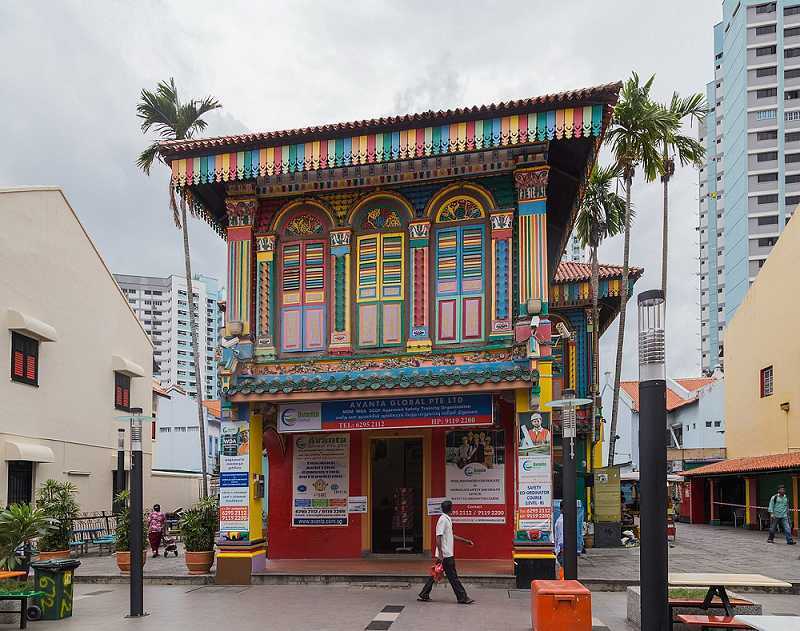 Little India is home to the Tan Teng Niah House, the last standing Chinese villa in the area, built in 1900. Now, the house is leased out for commercial use so tourists can only take photos of it from the outside. You can’t miss it; it’s the only house in the area that’s as colourful as a rainbow! 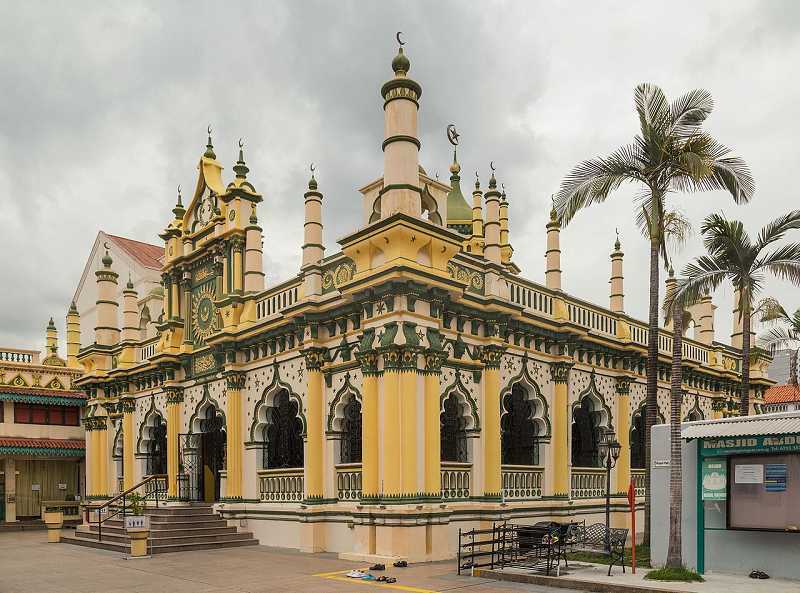 While you’re in the area, pay a visit to Sri Veeramakaliamman Temple, a Hindu temple dedicated to the goddess Kali, or Masjid Abdul Gaffoor, one of the oldest mosques in Singapore, built in 1907 and gazetted as a National Monument. 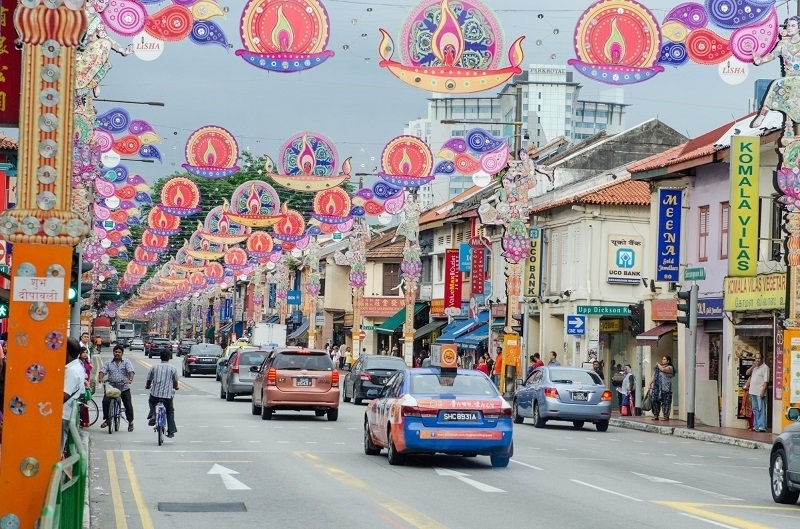 But Little India isn’t just a cultural district, it’s known for its cheap shopping as well! Pick up some souvenirs as you walk along the colourful streets or make a trip to Mustafa Centre, a 24/7 shopping mall that’s known for bargain buys. How to Get There: Take the North East MRT line (Purple Line) from Chinatown MRT to Little India MRT. 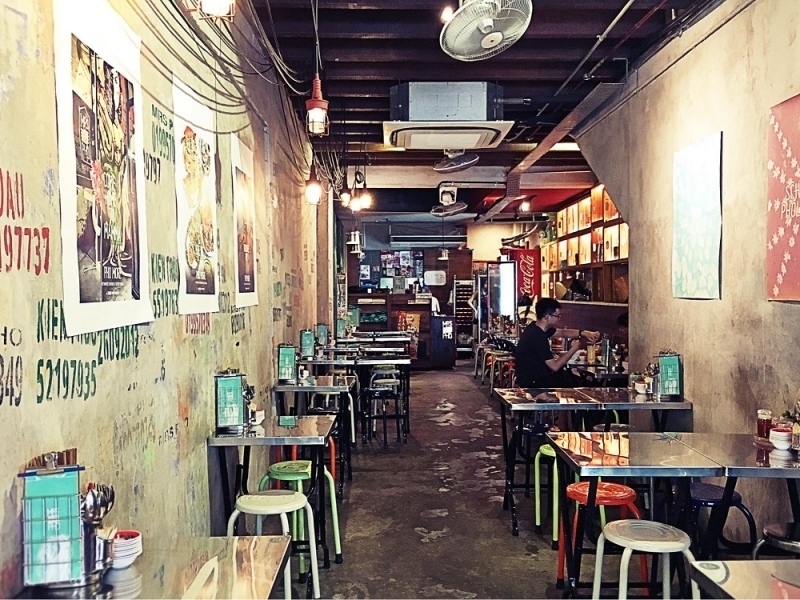 A lot of people say that Haji Lane is Singapore’s original “hipster” neighbourhood. Although other areas have followed suit and transformed into a hipster’s paradise, Haji Lane remains a go-to. Visit the many chic cafés, restaurants, boutiques, and shophouses in the area and have a taste of cosmopolitan Singapore. There are plenty of things to do at Haji Lane, from an afternoon coffee break at Selfie Coffee Singapore, a novel café which prints your own selfie on your cuppa, or get a dapper shave at The ‘A’ Street Barber Shop. 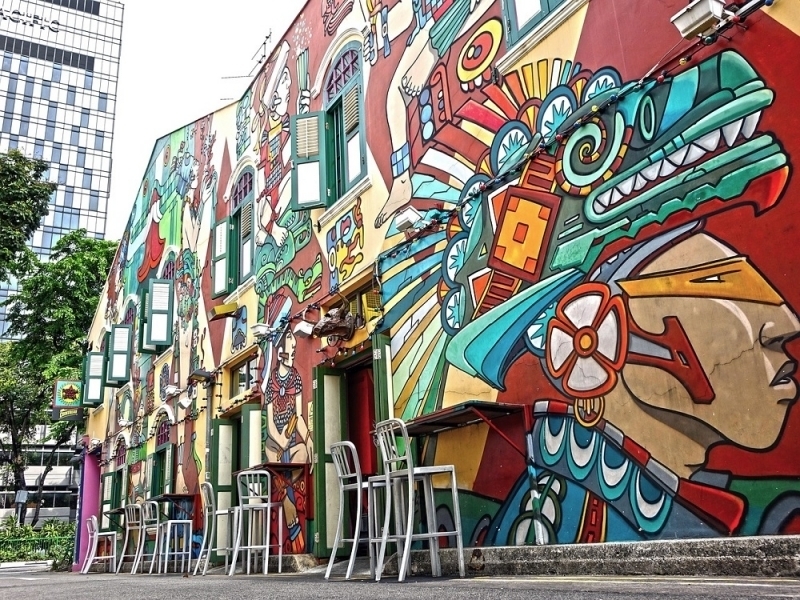 And don’t leave Haji Lane before taking a photo with the graffiti murals along the street! As night falls, your day is only getting started! 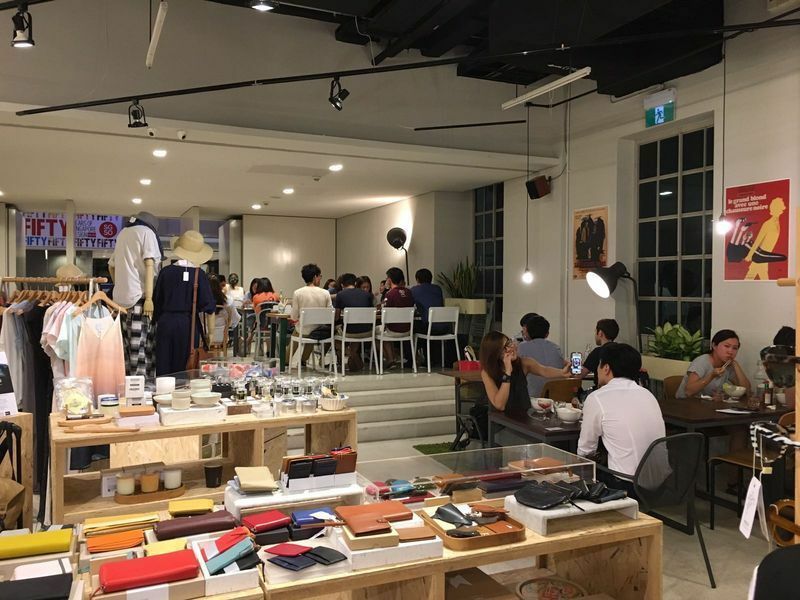 Walk over to Supermama Store, a design and crafts store, to check out its beautiful ceramics and artfully designed Singapore souvenirs, before heading over to Mrs Pho, for an authentic Vietnamese dinner. And your night doesn’t end there! If you’re into movies, catch a full-length flick at The Projector, located at the nondescript Golden Mile Tower. 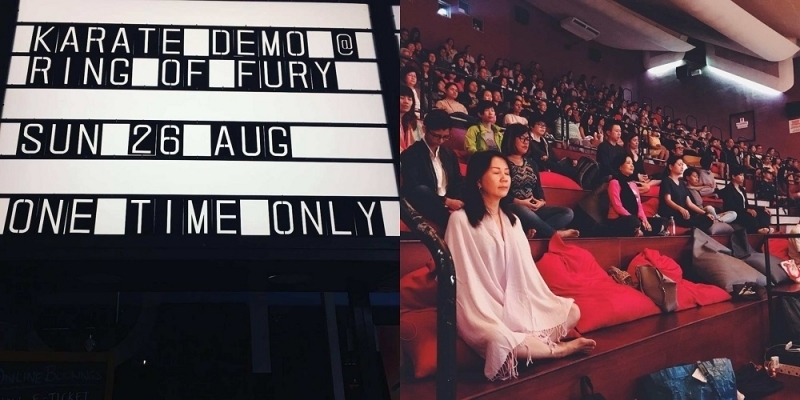 The Projector is a snippet of Singapore’s past and revives the historic Golden Theatre, while serving as a sanctuary for the independent film industry, where creatives in the field can gather and collaborate. And it’s not just for movie goers! Catch their creative one-of-a-kind events, like a karate demo, or grab a beer at the in-house Intermission Bar. How to Get There: Take Buses 100, 961 or 980 from Opposite Plaza Parkroyal and alight at Opposite Saint John Headquarters. Walk 140 m to Golden Mile Tower. Start your day with breakfast at TWG Tea Garden at Marina Bay Sands, a homegrown brand that serves over 800 artisanal teas. Buy some macarons to-go and head to Gardens by the Bay, a magnificent masterpiece that was even featured in BBC’s Planet Earth II! 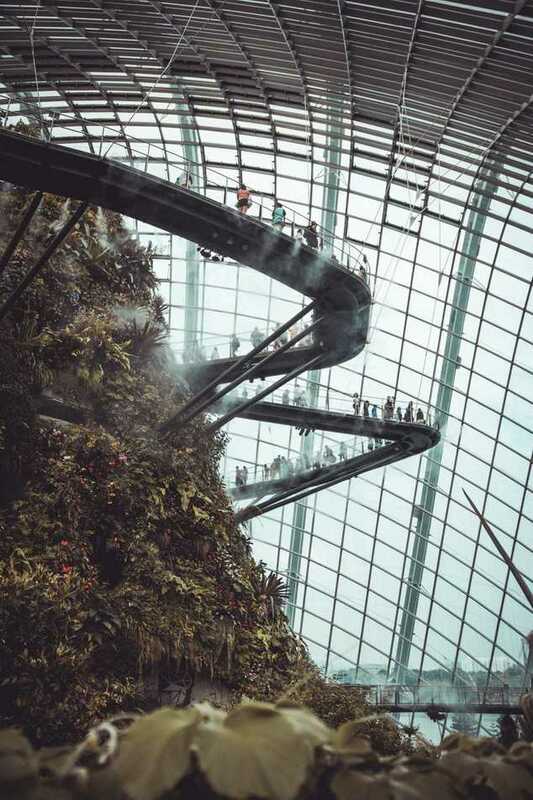 Gardens By The Bay is the exemplification of why Singapore is touted as a Garden City. 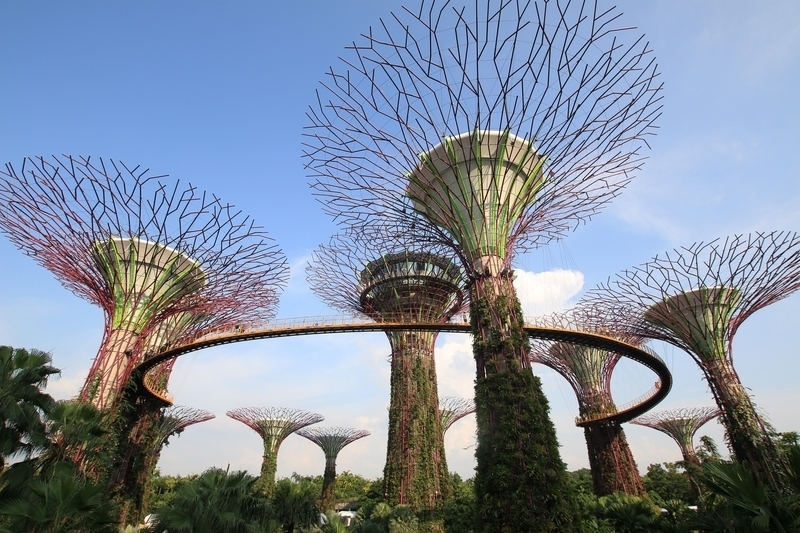 Head up 22 metres to the OCBC Skyway and get up-close with the futuristic “Supertrees” along the 128-metre long walkway. Tip: Head to the Supertree Grove at night for an alternative view of the Gardens as it erupts into a magical display of psychedelic lights. You will also be able to catch the nightly Garden Rhapsody, a free light and sound show. Then, head to the ethereal Cloud Forest, a breathtaking conservatory which houses the world’s tallest indoor waterfall at 35 metres. Explore this man-made tropical paradise along the Cloud Walk and Treetop Walk for the full experience. 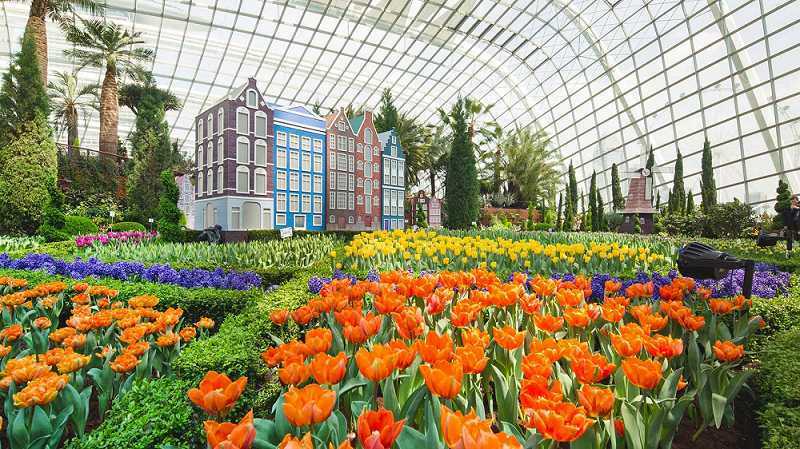 Next, be captivated by vibrant flora kept inside the Flower Dome, an official entry to the 2015 Guinness World Records for being the largest glass greenhouse in the world. In the Flower Dome, view exotic blooms from across 5 continents in a perpetual spring! 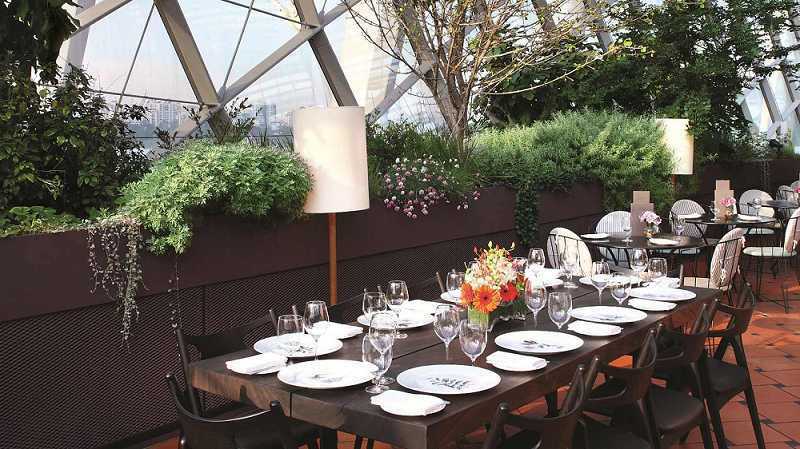 Before you leave, grab lunch inside the Flower Dome itself at the aptly-named Pollen, a 2-storey restaurant that boasts stunning waterfront views and a tantalising menu. How to Get There: Nearest train station is Bayfront MRT. 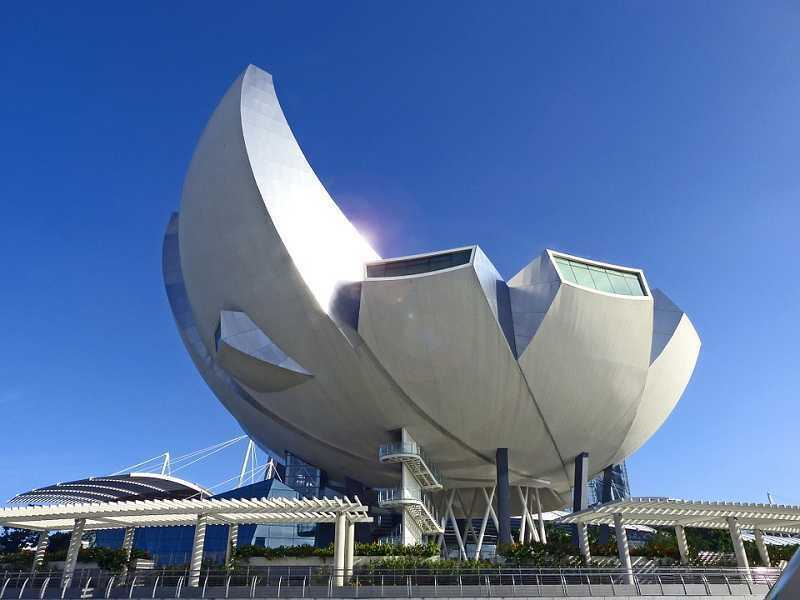 After lunch, head to the ArtScience Museum for some educational fun! 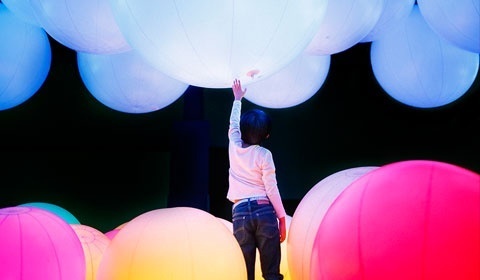 Visit the Instagrammable yet educational, Future World: Where Art Meets Science exhibit – a permanent exhibit which features high-tech and interactive artworks. Be immersed in the world of art and science at this one-of-a-kind digital art exhibition. The ArtScience Museum also has plenty of other rotational exhibitions throughout the year, so be sure to check them out when you are there! 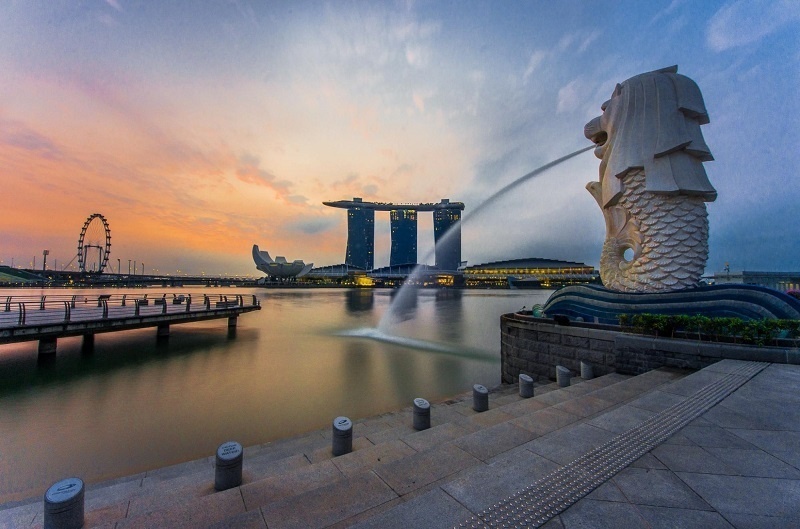 What’s a visit to Singapore without seeing the iconic Merlion for yourself? Designed and created by a local sculptor named Lim Nang Seng, the late Prime Minister Lee Kuan Yew presented the image to the public in 1972 and it has since become one of the national symbols of Singapore. Remember to take a mandatory picture of the Merlion spraying water into your mouth! How to Get There: Take Bus 36, 56, 75, 77, 97, 106, 111, 133, 171, 195, 857 or 960 at Seating Gallery and alight at The Esplanade. Otherwise, it is a 15-minute walk from the Artscience Museum. 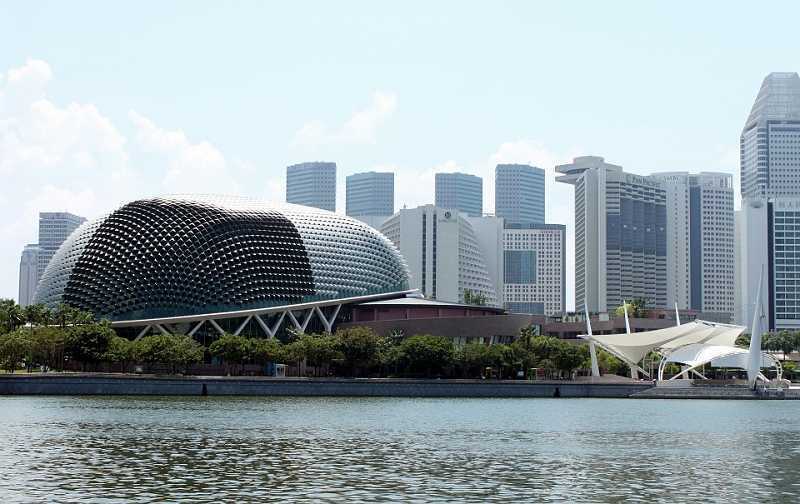 To immerse in more of Singapore’s arts scene, head to the Esplanade Concourse or Esplanade Outdoor Theatre, where the Esplanade regularly organises free performances. Free exhibitions are also held in various spaces around the Esplanade as well. Then, head to Makansutra Gluttons Bay to sample some of Singapore’s local delights, from satay to fried Hokkien mee and BBQ Stingray. 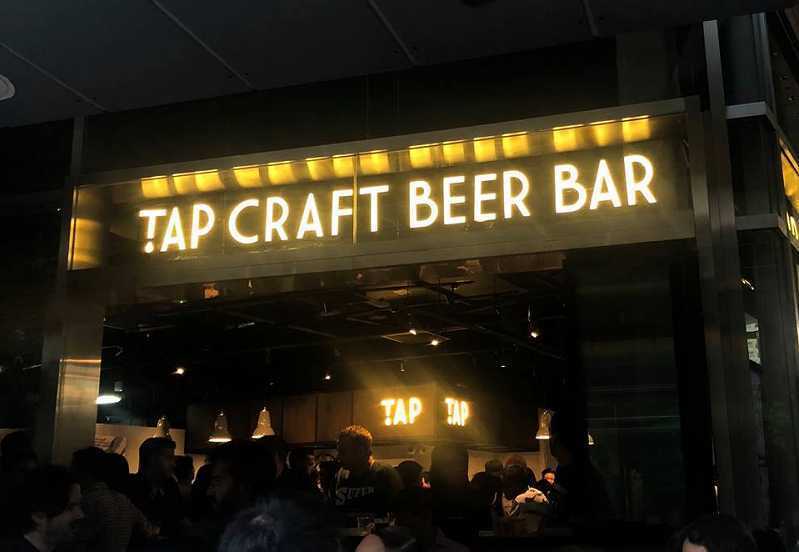 End your night with more local flavours at TAP Craft Beer Bar, where you can sample $10 local brews on tap, including Crossroads Brewing Co. and Brewlander & Co.
How to Get There: A 5-minute walk from Merlion Park. Nearest train station is Esplanade MRT. After an exciting first two days, take it slow on the last day in the quaint Tiong Bahru District. 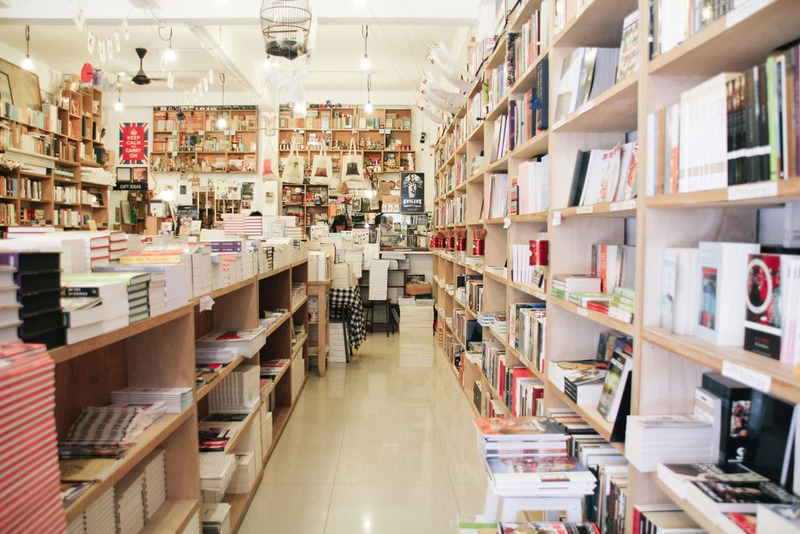 Visit the independent bookstore that specialises in local literature, BooksActually, the perfect place for browsing some hard-to-find books, journals, and even art zines. In fact, it was recently featured as one of the “20 Amazing Bookstores From Around The World” by BuzzFeed! Another independent boutique store, Curated Records is a must-visit as well, a small vinyl shop with over 1,000 indie records for sale! 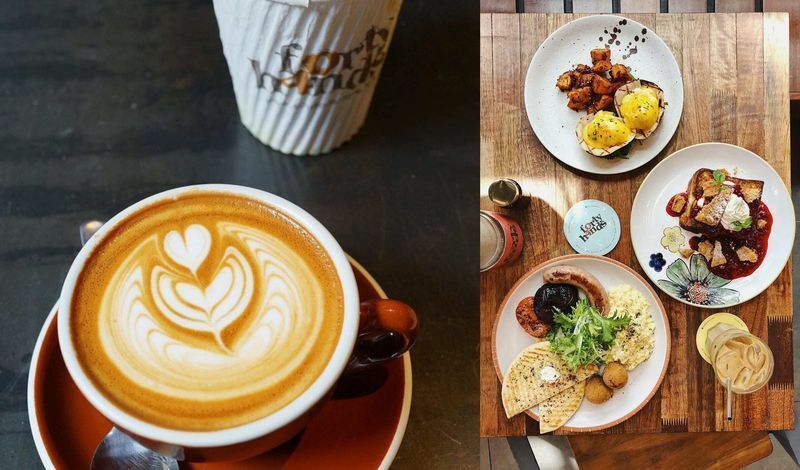 Just a stone’s throw away is Forty Hands, a coffee addict’s haven that also serves some of the best brunch in Singapore. Whether you’re craving a classic like Eggs Benedict or something with more local flavour like chilli infused scrambled eggs, this cafe has it. Have your breakfast here and try their exciting range of sandwiches and burgers that draw from various local cuisines. How to Get There: Nearest train station is Tiong Bahru MRT. While you’re in the area, you can’t pass up a trip to the National Museum of Singapore or the Singapore Art Museum, just across the street. Learn about Singapore’s history at the former, or admire a brilliant display of Asian and local artworks at the latter. Find art pieces that convey cultural, historical and national sentiments as well as daringly creative exhibits that are on rotation regularly. 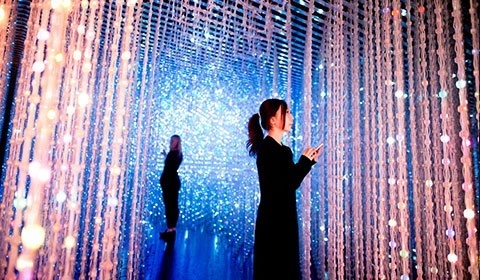 Just a ten-minute walk away is the National Design Centre, which houses art fairs, local brand markets and the “50 Years of Singapore Design” permanent exhibit. There, you can find the quirky store, Kapok, which sells various kookily-designed knickknacks from local design brands that you can buy back as souvenirs. Within Kapok itself is, Tanuki at Kapok, a collaboration with Tanuki Raw. It serves up creative, delectable Japanese fusion food such as fish skin tacos and a mean chamomile yuzu chicken don. Have your lunch there and choose from an extensive range of pizzas, dons (rice bowls), rolls and Japanese inspired bar bites. How to Get There: Take Bus 16 from Tiong Bahru Plaza to Rendezvous Hotel. Or take the train from Tiong Bahru MRT to Bras Basah MRT or Bencoolen MRT. 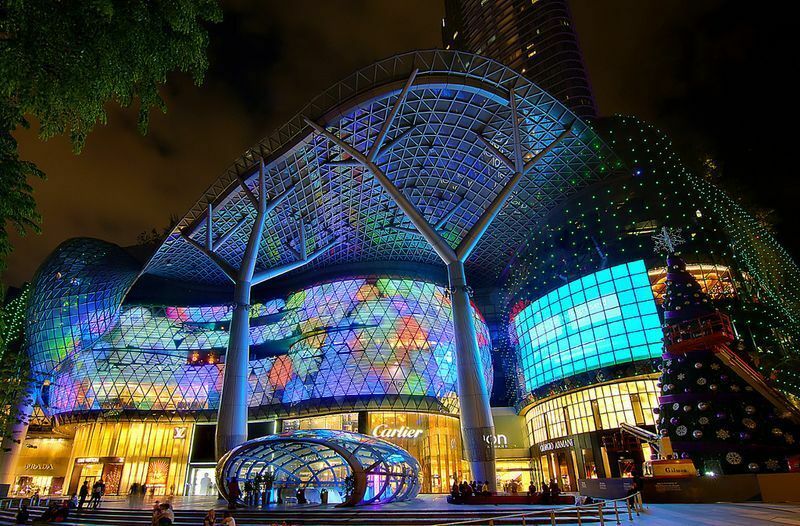 Known as the Champs-Élysées of Singapore, Orchard Road is the go-to shopping district in the Little Red Dot. Make your way down the mall-lined streets and catch street performers and buskers showcasing their art. If it’s a hot day, get a traditional ice cream sandwich from any of the ice cream “uncles” and pushcarts along the street! Otherwise, duck into one of the large air-conditioned malls and be greeted by brightly lit shops where you can find anything from the Daiso $2 Store to luxury branded goods, all under one roof. You’ll also find tons of speciality food outlets in each mall so treat yourself to snacks like Garrett’s Popcorn or the crowd favourite Koi bubble tea as you shop. How to get there: Walk to Bugis MRT and take to City Hall MRT. Then board the North-South Line and alight at Orchard MRT. Before your last activity of the day, head over to No. 5 Emerald Hill for a cheeky afternoon martini. 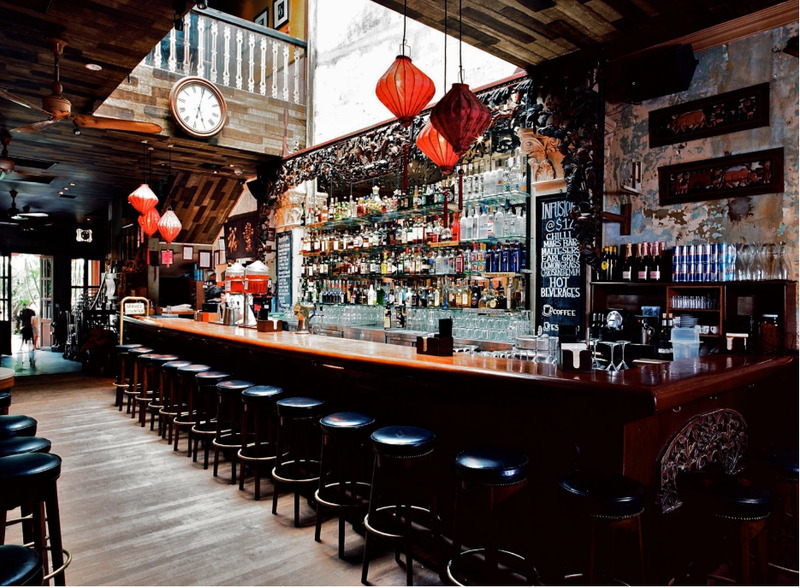 Set in the quieter part of Orchard, the bar charms you with an eclectic interior with traditional Chinese elements. Reel in nostalgia while enjoying an elegant cocktail and munching on the free flow of peanuts! How to get there: Take the train from Orchard MRT and alight at Somerset MRT. If you’re looking for something more on the wild side, Night Safari Singapore might just be your cup of tea. Managed by Wildlife Reserves Singapore, Night Safari is the first nocturnal zoo in the world. The wildlife sanctuary follows a strict conservation campaign that gives visitors the chance to observe nocturnal creatures in enclosures that faithfully simulate the critters’ natural habitats. 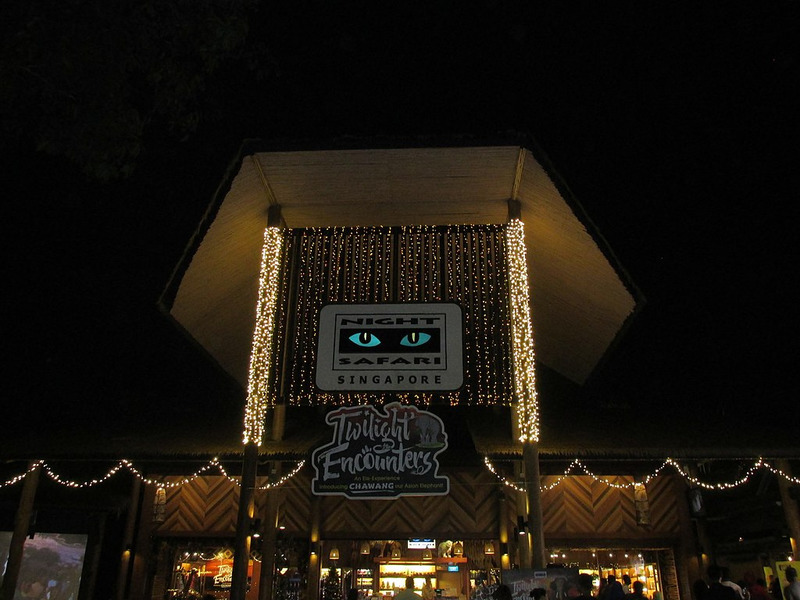 Follow various trails that take you into the night habits of various creatures or catch one of the thrilling animal shows. If you’re travelling in a big group, you can opt for a Gourmet Safari Express that will have you enjoying a candlelit dinner on a tram as it takes you through the park! How to Get There: Take the train from Somerset MRT to Khatib MRT. From Khatib MRT, take the Mandai Khatib Shuttle. Alternatively, you can take bus 927 from Choa Chu Kang MRT, or bus 138 from Ang Mo Kio MRT. Worried about getting around Singapore during your stay? Fret not because Singapore has one of the most efficient, reliable and well-connected public transport networks in the world! For convenient and hassle-free travels in Singapore, get yourself a Singapore Tourist Pass. Enjoy unlimited rides on public transport, including public buses, MRTs and LRTs! Obtain your Singapore Tourist Pass at any of the 24/7 Automated STP Kiosks located right beside Changi Airport T2 and T3 Ticket Offices or at any of the 16 selected TransitLink Ticket Offices located in convenient locations across Singapore.